For yearly subscriptions, you get 2 months free. The Ultimate Software to Book Appointments and Sell Services. Ask us about the top 5 Features we have that none of our competitors offer! We give you a full web/landing page that will make you proud to share with your clients. We integrate with your existing calendars as well as with MailChimp, Zoom, Stripe, Square, Zapier and more! Find out why we have grown to over 11,000 users in 100+ countries in the last 12 months. Book Like A Boss Reviews Recently Reviewed! - sell webinars and online products. Cons: For the way I run my business, I haven't found any yet. It could perhaps look better. I am using something else for sales pages. Some of my clients are mentioniong they'd love to have CRM included in the tool, but that's not what BLAB is (yet). Overall: As a mentor and strategist female entrepreneurs, I love the many features included in BLAB. It saves me time in my business through thoughtful automations and integrations. SO happy to be using Book Like A Boss! Pros: I like the customization. There are so many ways to make this compatible with my branding. I also like the scheduling options - being able to set up time cushions between sessions, sync with my Google calendar, etc. I especially LOVE that bookings can be pending approval! And that I can override and schedule clients earlier if I need to. And the best thing is about this service is that their team actually LISTENS to their customers. They are very communicative and responsive, which is a big deal these days. Great customer service! Cons: It can be a bit challenging to set up the services. I wish there were categories for the services, and I wish we could set up events & class series (multiple events in one series) more easily. It takes a bit to set up, but it is worth it once it's done. Split payment would also be a nice addition - to be able to have clients pay with deposits for large ticket services or to have installment payments. It would also be good to have more customization of the reminder emails sent to clients. I'd love to be able to put additional information into those emails. But again, what's great about this company is that they LISTEN to their customers, and they're making some of these requested changes (the ones in high demand, anyway). The team is very communicative and responsive. Overall: It has been a joy to have online scheduling for my clients now! It's easier on both sides of the experience. My clients appreciate being able to book their sessions when it works for them AND to get their payments taken care of up front. It's also been great for me in better managing my schedule. Thank you to the Book Like A Boss team! You are so very appreciated! Pros: Easy to use, easy to set up, easy to customize, decent price, great service, always improving. I can easily preview my changes, copy links and paste back and forth into texts and emails on the go from my ipad or cell phone. I can make all changes to my account easily through mobile devices. I travel quite a bit so having to wait to return to my desktop computer is not always efficient in running a business. I love the flexibility of being able to use this system from any device. The integration of multiple payment systems was a wonderful improvement and it allowed me to put all of my scheduling and booking needs in one place. The customization feature also allowed me to have a consistent branding approach. Cons: I would love to be able to connect more than one type of credit card merchant. I use both square and stripe and am limited to using one in this system. Not a big deal but not ideal. Overall: The ability to have one stop shopping allows me to send contracts and payment links to clients and then I can embed the scheduling link to automatically appear once they pay and receive the thank you for payment message. It created a seamless workflow and saved me a lot of time with the back and forth of scheduling and paying. I also love the ability to have the automatic and manual bookings so that I can decide whether to accept the appointment and respond with a message as to why I might want to reschedule. My clients love the way the system works and have also indicated they have looked into becoming customers of Book Like a Boss. I've been using book like a boss for close to a year, and love it! Overall: I've tried using multiple other calendars (acuity, you can book me, calendly, etc), and love book like a boss over the rest of the other ones. Some of the main points I was looking for were: Facebook pixel integration, ease of use, pretty interface with sections to load content into (videos, images, etc), and robust reminders built in. To my knowledge, this is the only platform that will allow you to embed a Facebook pixel directly within the calendar itself (versus embedding the calendar options via iframe into a landing page that had a pixel on it), so I was sold purely for the ease of retargeting on Facebook right out of the box. I've been using this calendar tool for over a year now, and I won't go back to anything else - they constantly keep adding new features and upgrades to improve the experience over time. I help CEOs achieve superior results by creating human-centered workplaces and cultures. Pros: There is so much to like about Book Like A Boss -- the ease of setting up new appointments and the multiple integrations supported -- calendar syncing, Stripe (for paid services), and probably my personal favorite >> Zoom. In today's world, every conversation I have is face-to-face via Zoom video conferencing. With Book Like A Boss, as soon as someone books an appointment, a Zoom call is booked and call credentials are included with the appointment. Cons: It's really hard to think of what I like least -- the one thing I'd recommend is thinking about how YOU want to use the tool. The standard options may be nice for some, but I realized the need to simplify and delete many of the "standard options" -- when someone goes to my appointment page...keep it simple and do NOT distract them with other links and options. Just help them book an appointment. Overall: It is so easy to create new appointments and set up all kinds of scheduling parameters with Book Like A Boss. I use it on a daily basis and it gets me out of the back and forth of multiple emails or texts trying to coordinate calendars. Pros: I recommend Book Like a Boss to everyone that needs a schedule. It's easy to use, tutorials are perfectly done and easy to execute. I love the booking page, the customizable (branded) links, the rendezvous and the products that we can sell through this software. We can embed calendars on our website and customize the look. I love the reminders that are sent to our customers previously to our rendezvous that reduces the "no show". And lately, the AWESOME feature of fully customized dates makes me sing!! And lastly, the possibility to create events and sell places makes this tool THE TOOL! I recommend it to my community! Cons: The app it's not fully in french yet. Some parts are translated but not everything. Overall: Easy and branded booking tool: my favorite! The support team is diligent and solution oriented. Overall: I spent too many ours trying to set an appointment with my customers all over the world, really a pain, since I use BLAB I really feel like a boss, I can always send a link with the kind of a meeting my customer needs, and they find themselves their place in my agenda according to my availability (connected to my Google Calendar). I HUGE relieve. Pros: I have run several small businesses where online booking was the dream... but once I was referred to 'Book Like a Boss' my goal was finally achievable. For the vast majority of purposes this booking system is easy to navigate, offers extensive flexibility and options to bookings for either the individual or group, along with seamless integration to Outlook calendar. Cons: There are only a few moments of hesitation with this system, where appointments created aren't displayed online until the appropriate links are made through the 'embeds' link, but once this is understood I have found it amazingly easy to created multiple diaries for different days and town in which I work each week. Overall: My experience with Book Like a Boss has been outstanding... the ability to offer clients their own ability to make and cancel appointments without the need to notify me, has saved me many hours in administration every week, giving me more time to focus on services I can offer to enhance profit. Pros: It's so easy for clients to use to book appointments, audits, and coaching calls. I love that it allows free calls, coupons, and prepayment upon booking. It's helped me get rid of tire kickers and attract serious clients because of the payment feature. Rescheduling is extremely easy for the owner and clients. The zoom integration creates scheduled zoom calls for the bookings automatically, saving me so much time! The automatic appointment reminders have cut down on no-shows! Cons: The scheduling is a little hard to do with the sliders. I'd love to see all the schedules at a glance instead of having to open each product or appointment to see it's individual schedule if I want to make adjustments. Overall: I used to spend a ton of time scheduling meetings over email, trying to collect payment, and setting up zoom calls. Now I can share my book like a boss links and people can choose the product and appointment time that's right for them and works within my schedule, and everything is set up automatically. Don't have to mess around with zoom calls, they can reschedule if they need to, I can reschedule them if I need to, and payment is collected at the time that they booked. Now if anybody asks "hey can I book an appointment with you" or "do you have an audit that I can take" or "can I get a coaching call" I can just send them the link and I don't have to spend all this time negotiating over email. - Granular control over times availability and dates available. Cons: - can't customize the emails. Not a big deal because I like the emails as they are, but still would like to be able to customize them. Overall: I love everything about them. I've replaced Calendly, paypal and checkout pages with them. I just send a client a link to my booking page, they book and pay, and it's all done. Before I had to send them to a checkout page, then once they paid, I'd need to send them a calendly link. It's made scheduling and consulting so much easier. I'm a Boss for life. Thank you Aaron, it is truly an honor to have you on board! Keep Rocking the SaaS! Pros: I like that I can easily connect multiple calendars and create booking options for a variety of free appointments and paid consultations without paying extra for additional booking pages. The forms are very flexible and can gather the information I need to prepare. Additionally, the reminders are great, the ability to embed a form with custom colors and branding is wonderful, and there are even additional integrations such as Zoom.us booking links and Zapier integrations. Cons: Because BLAB offers so much, it can be hard to find a single booking page to send a direct link. And the Zapier integration with MailChimp could be a little better. Overall: I started using an online booking form for my podcast over 5 years ago. It worked well but eventually I had to move up to a paid plan. Once I found BLAB, I switched over and never looked back. It offered more options and flexibility than my previous booking service and was less expensive. I now book podcast guests, online consultation calls, and more using the same BLAB account. And I can even take payments for paid consultations, all within the BLAB interface. Pros: I like how easy it is to set up and get running. On the backend, it took me almost no time to get basic functionality working. On the front end for my clients love how easy it is to use. Cons: That I don't have enough control over how people book. I really need a product that has coded for more complex bookings. I run a spa and this system needs a TON of workarounds. I feel a lot of it is lazy coding that just wasn't thought through. For example the SMS system texts clients reminders for their appts, but it doesn't include the time in it. This just seems lazy. Also they, thankfully added approval options to the booking so that users have to get the booking approved, but that doesn't seem to be the case when a client reschedules. Why? I need all my appts to get approval - esp the rescheduled ones! These are just a few of the booking holes I've come across. I could go on, but in general if you understand that the BLAB team is working on these issues you know what you're getting into. Overall: Overall BLAB is a good system and great for the cost. 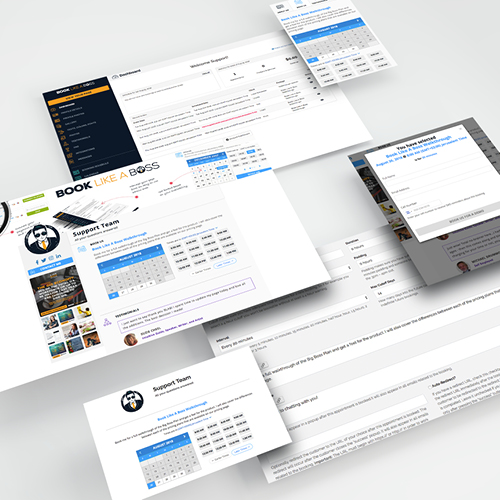 It's super easy to use and the BLAB developers are working hard to improve it all the time. Their Facebook customer support and community is invaluable for finding workarounds, discussing bugs, and talking about what we wish we had on BLAB next. The BLAB team is an active part of the community and also responds in decent time to any tech/bug queries via the website. Pros: Book Like A Boss is such a great product. The ability to set up both paid and free appointments is really handy - especially with the payment solution baked in. It connects up to lots of service direct and can also link to Zapier for other requirements. More than anything the service is excellent. I use it and I recommend it all the time. Cons: Perhaps your main homepage gets a bit cluttered when you have lots of options for people to choose. However I normally link direct to the specific meeting choice so not really a factor. Overall: Does what it says on the tin. Easy to use. Nice personal customer service from the team that actually built it. Has never let me down. Overall: As a busy professional, I am always in need of having people schedule meetings and appointments with me. It's very easy for me to turn around and give my BLAB schedule link out to people and let them setup a time for us to meet - in person or on the phone/Zoom, etc. Having the BLAB program on my site, in my email signature and more allow me to do more with less of the back-and-forth of the "does this time work for you?" emails and lets me focus on the big picture. I can also use these calendars as campaign landing pages with the FB pixels integrated, I can even retarget people who see my page based on where I send them! Great value that keeps getting better! Pros: They truly listen to what customers need and they deliver. The software is easy to learn, looks professional from the end user view, and has so many options. the BLAB team takes feedback on what customers need and they keep adding functionality! Cons: Just waiting on one function, (that may be on the horizon) so I can be 100% free of needing any other options. There are times when I manually want to schedule somebody at a time that I have blocked out. I want to be able to do that on my end, without them being able to choose to later reschedule and take a time that I don't want to allow client meetings. Overall: Saves me so much time, allows me to pre-screen people before booking so I can be sure that they are a fit. It helps me put boundaries around time and makes my clients aware also. Pros: I use Book Like a Boss to book demos on a daily basis. 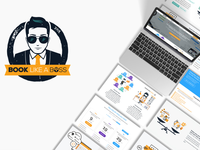 Book Like a Boss works reliably, it's flexible enough to handle most scenarios, and it takes a lot of the work out of scheduling/booking, sending reminder emails, etc. The booking flow is dead simple, and it provides a lot of flexibility in setting your availability. Cons: My biggest gripe with Book Like a Boss is that they don't really let you customize the reminder emails. Those emails are really full of content and I think the no-show rate is higher because the pertinent information isn't easy to see. If they gave you the ability to customize these emails, they'd be the perfect booking solution as far as my needs go. Overall: Overall, I've had a positive experience using Book Like a Boss and recommend it. Pros: I love this software! I use it myself and I recommend it to all my clients. I appreciate how easy you can setup and configure appointments along with the details available for each appt such as availability, custom fields, reminders and more. You can even identify which calendar you want an appt to go to and which calendar a specific appt should pull availability from. This is more flexibility than most of the current tools on the market. Cons: The only thing I wish it had that it doesn't yet have is the ability to sell packages of appointments. Overall: I've had great support and quick responses and enjoy using the tool. I also really appreciate the continual new features that they release on a regular basis. Cons: It's not always obvious to see all options you could use. Easy to get up and running, but then months later notice other things you could have added but didn't know existed. Only real negative for a cleaning company is that our offerings have to be set as complete packages instead of allowing people to customize their service - like choosing a number of bedrooms/bathrooms and have dynamic pricing. Overall: There's only a couple software options available for cleaning services to take online bookings. They are either expensive or have design issues that I didn't like. 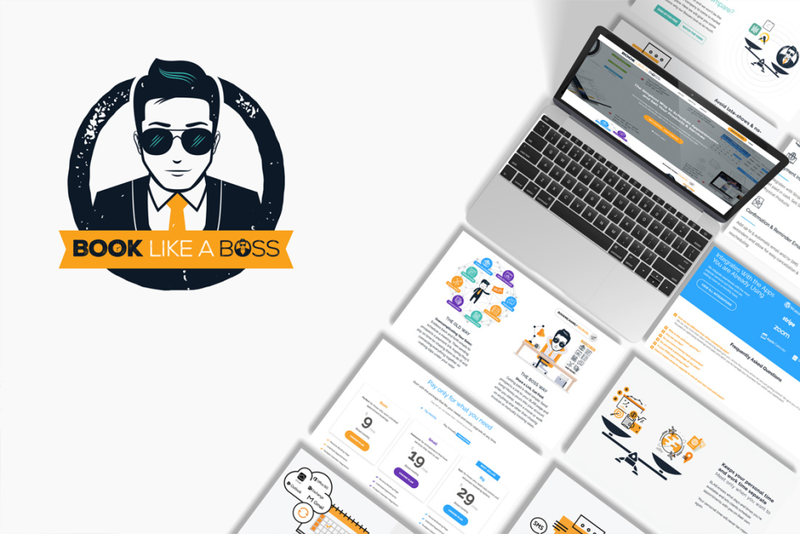 Book Like a Boss has been very simple for clients to use, and I can put enough information to basically use it as a landing page. Simple, obvious, needs like sending appointment reminders are automatic here, where other services required additional money for that option. Pros: I own a law firm and I offer free consultations to potential clients. I also book appointments with my current clients. I love how BLAB helps me to completely automate the scheduling of my appointments. I also like how the BLAB team has been consistently pushing out new features, providing helpful video tutorials, and responding to feedback from users in its Facebook group. Cons: I need to be able to customize my SMS (text message) appointment reminders. The current SMS reminders are just generic reminders. Overall: As stated above, I have a professional services business (a law firm). BLAB has allowed me to free up my time so that I am no longer manually booking appointments. Pros: The ability to sync with other calendars and also to my mobile phone, it's a mini virtual assistant and landing page in one web page. Very affordable for all that it offers and easy to use once it's learned. Cons: Initially had to figure out how to get it to work with a stand-alone Office 365 Outlook. Had to use Google Sync to Outlook Sync application to force the sync and then push it to BLAB. Now it works and I'm happy. Overall: My overall experience has been that it provides productive management of my time and allows me to know when I'm available to my clients and to be paid directly. Also allows for free time to be managed as well and blocks my off time from view to others. In short, I absolutely LOVE IT! Pros: Quick setup and fully fleshed out introductory walk through. Easily set up different kinds of meetings for different lengths, availability, and price. You can setup Book Like A Boss to check your personal calendar for your availability, so if you have something you schedule yourself somewhere else, it will not show that time slot as available for a booking. It does this automatically and it's one less thing to worry about. 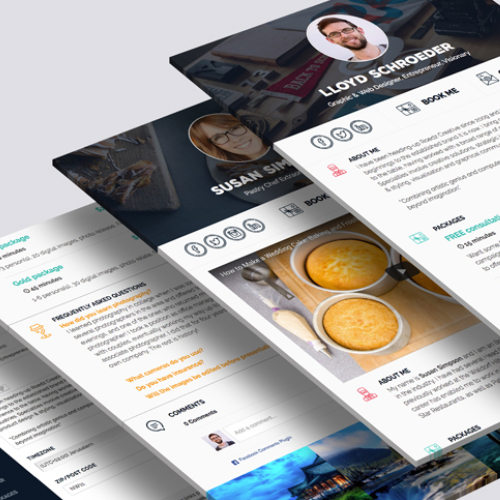 They give you a booking page where you can customize what your page looks like, turning elements on or off. Cons: The reminder emails lack customization. After someone books, they only get a thank you message that displays on screen. There is no thank you page, you have to do a custom redirect to somewhere else. Overall: This is a really great software at a great price. When you're just starting out or in the growing stages, this pretty much does everything you need. If you need to have 100% customization, you may want to look somewhere else, but BLAB will do 95% of the work in a user-friendly way. Pros: I'm an editor and work with clients all over the world. I love how easy it is to book in the right time zone. It takes the headache out of me having to double check my calendar for possible times. You can sell your service and products right on the site or just use it to book. When I or a client has to reschedule it's a one click and done process. Cons: The one drawback is having to be on different plan to book multiple people into the same event. Overall: Setup was simple and when I had an emergency due to my own hosting server they were there to walk me through getting my work shifted to their site. Great customer service. I highly recommend. 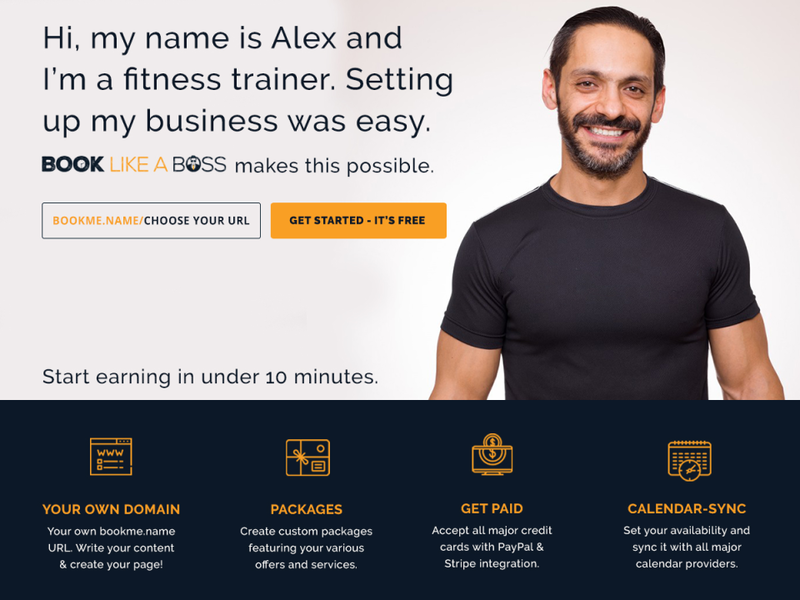 Pros: Book Like a Boss enables me to book clients in a variety of different ways, for any type of call or package, and I can customize each offering easily. I also love that I can embed the booking link on my website, which provides one less step to booking a call. I can link up as many calendars as I want, which enables BLAB to block out times that I'm already busy with work or personal matters. It's just really easy to use and with the new updates, it's easier to customize to my brand as well. Cons: I have some trouble with the embed code not working when I update a page on my website, so I copy and paste it again each time. This is a small annoyance though and I'm sure it's more the fault of Wordpress than BLAB. Overall: My clients and prospects are able to book easily with me from any time zone they're in, which saves hours of time going back and forth via email to find a good time (which is how I used to do it). This has made my work and business processes simpler and it makes me look more professional as well. The Boss (but not the replacement)!!! Pros: BLAB (as it's known) works REALLY WELL as a personal calendar. As a CEO, my time is valuable... but for certain people, I want them to have access to me. This allows for that, very easily. I also LOVE that they give you your own mini website, that more or less acts as a personal site if you want it to. Overall: I have people scheduling time with me through my BLAB link MULTIPLE times per week. It's amazing! I run my entire business from Book Like A Boss! Pros: It is easy to use and customizable, quick to set up and maintain. Cons: none - for my service business, it is the best blend of online scheduling and sales I have found. Overall: I delayed expanding my business for years becuase I didn't want to have to create and maintain a whole website that I didn't really need - while my clients were begging me for "somewhere" they could send people to learn about my services. I was able to do everything I wanted on Book like a Boss and had it set up and running in one afternoon. Book Like A Boss: Not Perfect, but Close! Pros: At its core, Book Like A Boss, as its name implies, is primarily an online appointment SAAS solution, ala Calendly, You Can Book Me and the like-but it goes well beyond these basics to add group scheduling, products and services with online payment, a mini-web page, client database and more. Flexibility is its best attribute. Cons: This isn't exactly a "negative," but the company's aggressive product roadmap means you're signing on for changes always oriented toward customer improvement. Overall: Book Like A Boss is an excellent choice for anyone looking for a product that can schedule, market and sell-all at the same time. If you're looking for a wunderkind that does just one of these things, you can probably find a SAAS product that would be less expensive overall, but you can't go wrong with Book Like A Boss, a product that really can do it all. Pros: I like how easy this is to use for my clients and how it includes so many different options, like including video, allowing people to buy products and programs directly, and having different kinds of appointments to choose or highlight. Plus, they seem to update the software with more options, so I need to learn how I can use its newer functions. Cons: I wish this would allow me to schedule my own appointments with clients, but I work around it by signing up as if I were a client. Overall: I love Book Like A Boss. I've tried a few different options for scheduling but this was the best one so far. Pros: Intuitive interface, modern design, very easy to use and integrate with my existing calendar. Cons: I'd like to see more ability to customize the look of the page presented to clients. Overall: Book Like a Boss has been fantastic. I've tried a number of other appointment scheduling systems, but most were either missing important features or didn't integrate well with my calendar (not able to see that I have other appointments I schedule myself and use that info to determine my availability). I used another one that met my needs for several years, but the cost was prohibitive. Book Like a Boss does everything the other one did and more at a price that didn't break the bank. Pros: There is a ton of functionality under the hood and unlike a lot of SaaS products, relatively easy to find. I like that paid appointments and free appointments can be built under one interface. Appointment pages are nicely customizable, making it easy to visually tie in with branding. Fast. Adjusts for time zones. Easy for people to cancel and reschedule their own appointments, saving me loads of time. Single design on landing page, no matter what kind of appointment it is. The wording can be changed but only one design. That really is the only thing that bugs me, which isn't much. Overall: I have become used to not having to deal with the time-wasting back and forth of setting call and meeting appointments. In 2 years of using, I have only had 2 contacts screw up their appointment set up, which basically means it is an almost idiot-proof user interface. It would really be hard to go back to trying to set times by email. I really rely on BLAB. Pros: Functionally, the system is pretty easy to navigate through. The Backend and front end look great. Cons: Missing the ability to create recurring bookings. I believe they are working on it though and we all hope it's available this year. Overall: What I love most is the team behind BLAB (that's what we Bosses call it). They are incredibly responsive and have been hard at work implementing the things we need to make this calendar one that's truly remarkable. I love how fun the email reminders look. The tutorial videos always make me smile with their always present intro "Welcome BAW-sses," spoken with the best northern accent ever. Pros: BLAB has so many features that I love. You can easily link your calendar along with adding products and setting up calls easily. As a branding expert, I love that you can also brand it to match your personal branding creating a cohesive experience for users. Cons: I have zero complaints. It is so easy to use and meets all of my needs. Overall: I love that I can send people to schedule an appointment easily. And I can also create products to promote that they can purchase with ease. I also like that I can connect my Zoom account and provide the call information immediately. Pros: The thing I like best about Book Like a Boss is how convenient it is to send potential bookings a link to schedule a call. Putting the decision in their hands gives them a sense of agency and gets rid of that "when's good for you?" back-and-forth that can lead to unnecessary frustration. Cons: The user interface can be a little confusing on the client side. It would be helpful if there was an obvious way for clients to leave contact info (they often forget!) or to specify the form of contact (phone or Skype, for example). On my end, the dashboard is a bit overwhelming. I have a sense that there are features I'm not using / aware of because there's a lot going on there. Overall: It's one of three can't-do-without SAAS products I use (the other two being FreshBooks and Workflowy). I love it for the time it saves me and my existing and potential clients. I'm an affiliate, as well, and recommend BLAB whenever appropriate. Love it. Pros: I love the ease of use and how it integrates seamlessly with my other products such as Mailchimp. Cons: Erm I really find it difficult to find anything to criticize. Overall: Book Like a Boss has simplified and streamlined my booking and scheduling process. I almost don't need a website any more and have, in fact, considered not using my website any more for a while. The look is beautiful and it just works really well. The booking platform I've been waiting for ! Pros: It provides a standalone landing page to sell and schedule my services and I can easily embed the booking module in my wordpress site. Everything is sync with my Google calendar and payment gateway (with Stripe) is integrated. One last thing: E-mail and SMS reminders !!! Cons: No analytics available for appointments. Overall: As a solopreneur, it gives me all I need in one place to schedule appointments without the needs to spend my day answering calls or emails. No more (almost) "no-show" with the reminders automatically sent to customers. Pros: I needed a way to streamline my scheduling across multiple time zones and multiple countries. Book Like A Boss showed up at a time when I was looking for scheduling automation. Installing and leveraging this product has saved me time and more importantly, has been easy for my customers to use. Cons: I can't say that there is anything I don't like about this software. Overall: My clients are able to book appointments with me around the clock without me being involved. This product has saved me time so I can make more money. Love book like a boss! Pros: It is easy to use. Easy to edit. Easy to integrate to my website. Cons: The look of the plugins is more simple. The colors Chan be changed but perhaps not the font. However they are constantly updating so that may change. Overall: Book like a boss gave me the opportunity to book more clients with greater ease! I love the website integration. Professional and easy for clients. Cons: I can't think of a con. It certainly has more capability than I need. Overall: I've been using Book Like a Boss for over a year. I love it I've referred many to this software and they all choose it over all the ther scheduling software. Their continue to be developments that make it better and better. I would recommend this to any business or consultant. Pros: The ease of use for the end user. 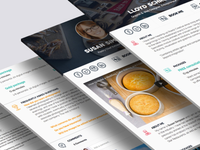 We can set up a custom landing page that is really easy for folks to use. Cons: Initially, we bought Book Like A Boss in its earliest stages, so we were able to grow as the software was being built and new features were rolling out. The hardest part was getting our booking schedule set up at first. Overall: We use Book Like A Boss for our fishing guide service and saw a growing trend of people booking fishing excursions online. 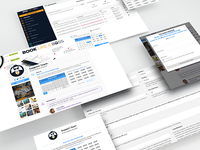 Since using BLAB, our booking system is streamlined and organized. Pros: Convenience - very simple, straightforward, designing of a calendar page. Accessibility - you can accept payment via credit card and paypal. Cost - very affordable and worth every penny. Although, you can use it for free and still get a lot of perks. Customer support is so personalized. Nachum is my favorite person. Very hands-on to customers free or paid. Keep it up! Cons: API Integration - if you are not a techy person or doesn't have a paid ZOOM account, you cannot use the ZOOM feature. But there's always a way for things to work. I just didn't link it. Overall: Wonderful since day 1. I have been using this for almost a year now. Pros: I love that when someone visits my link to schedule a time, they don't just see a white screen. They see a good looking background that I choose, my face, information about me and what I do, and even a little Q&A at the bottom to hopefully avoid commonly asked questions. It looks beautiful, it works beautifully, and after being spoiled by this booking service, I will not be going to another service. Cons: The part that I liked least about this, is the startup. Getting all the information in, while trying to figure out how it works. Since it is different and has many more options, I had to learn what they all do, and then once I got my account made beautifully, and learned about what does what, no issues after that. Overall: Book Like A Boss has done great for me. It has made booking a call with me look much more professional. So the best way that it has helped me, other then doing what it's supposed to, is that it makes when I have a call, the person calling me knows that I am the professional here to help them. Not just some support line. Cons: Early on, had a few issues with integration, but customer service was responsive and there's been lots of improvements since then. Pros: I like that I have a lot of control over the types of services I offer for booking, payment and booking options, and fine grain calendar control. As a coach who offers packages in a variety of different price points and at different times, I appreciate being able to open up my calendar for different types of appointments at different times. Cons: I wish that there was a way to update clients on how many sessions in a package they have left! Pros: I am not a techy person, but BLAB makes building your scheduling platform so easy. In addition, it's visually appealing and has so many features for versatility and functionality! Cons: We need an app to go with it! When I'm in my mobile, I'd love to login from an app. I have no other issues with BLAB. Overall: I'm able to send my customers and potential clients a clean, simple, yet stunning booking site that truly represents my brand. Price, simplicity, functionality, and effectiveness are great! Not being able to collect sales tax is a deal breaker for me as far as using the payment collection function for products. I've had to 'opt" for collecting payment when my customers arrive because of this. - Doesn't have an option to buy multiple quantities for physical products. This again is a must for me. A lot of my customers buy multiple quantities when buying physical products from me. This is pretty standard for product based companies. Overall: I like book like a boss and think it has a lot of potential but I think not implementing a sales tax function when you're allowing people to use it for products (which are taxable in most areas) is a huge oversight that should have been implemented by now. Book Like a Boss is a Great Assistant! Pros: I was never really much for online scheduling software until I was introduced to Book Like A Boss. For the first time, I saw the depth of the program and how much it could assist me, and take all too often "call-tag" from taking place. It is a convenient way for my clients to schedule and get a hold of me...and me to stop chasing meetings and be more productive. Cons: The only con is the system is so robust that I haven't learned everything that I can accomplish by using it., I'll get there.,..it's worth it! Overall: I love getting booked faster, more often, and with a smooth and easy process for my clients. One of my best, most depended on, tools! Pros: Overall, this is my go-to tool for scheduling my speaking engagements. I send potential leads to my Book Like A Boss page, and they can find a time that works for them to schedule me. This has greatly simplified my life and scheduling. I even use this page too, when someone wants to email/call me to schedule me. I jump onto Book Like A Boss to see if I'm available. It works amazingly well and syncs to my Google Calendar. Cons: The only negative I have about the software is that the built in messaging tool strips out line breaks. This makes it difficult to communicate longer messages or multiple paragraphs-worth of information. I had contacted support a while back about this issue, but I have not seen any change. Overall: Overall, I like this tool, but I've given up hope that my bug/feature request will be taken into consideration anytime soon. Pros: BLAB is simple to use, and seamlessly embeds into my website. Cons: Currently group booking feature is unable to handle multiple place being booked at a time. Clients need to book each place separately. Overall: To date I have used BLAB to generate thousands of dollars in revenue as in my trial class booking process for my martial art school, just in initial trials booked. Multiply that 10x in recurring revenue after students join my school. BLAB has been a god send, and ROI has been exponential. Pros: I despise the back and forth it takes to get a meeting booked. "Oh, I'm free from here to here on this day, then this sliver this day, and then...". Maddening. But with BLAB, you just send the link... and make it sound like you're doing them a favor by allowing them to pick a time that works for them. I've watched my calendar fill up as I send the link out in chats, emails, even integrated into my site. The only snag I had with BLAB had nothing to do with BLAB and everything to do with the fact that people don't know how to read. Pros: Formatting & flexibility. Integrations with Google Calendar. Payment gateway. Cons: It isn't free! That said, it's a bargain compared with some of the other scheduling utilities out there. Overall: I'm using Book Like A Boss for both client scheduling and ecommerce. I did an online course launch last year using the platform. I also use the platform to sell EBooks and programs. It's easy to set hours of availability and create different options for free discovery calls as well as paid sessions. Pros: The amount of features and configurations that you can create are really great -- you can get super granular with your booking, or keep things broad and open. And you can even tie a payment gateway to it. Cons: I haven't used the customer service much, but I don't like how much of it is tied to a Facebook group. For those of us trying to get off of Facebook, it's a bit of a sticking point. Overall: My overall experience with Book Like A Boss has been nothing but good -- after trying out several other types of services, I stumbled across Book Like A Boss, and it does everything I need (and then some). I wouldn't recommend any other scheduling tool. Thanks so much for your glowing review! Please note that the Facebook group is a bonus. We have Intercom chat built into the dashboard so we can be contacted easily at anytime and we regularly send out email updates when needed.